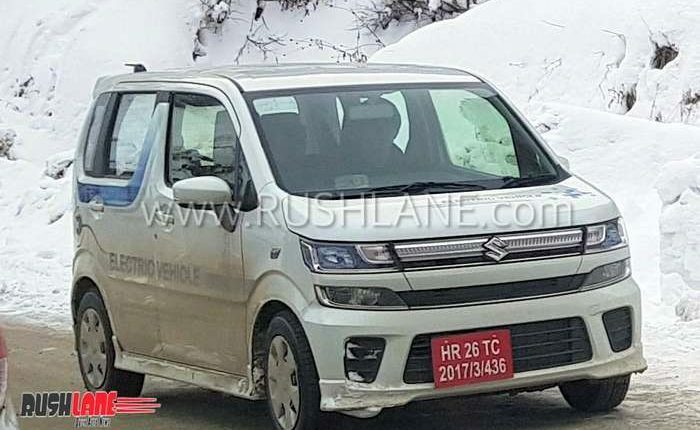 Maruti WagonR electric will launch in India next year. 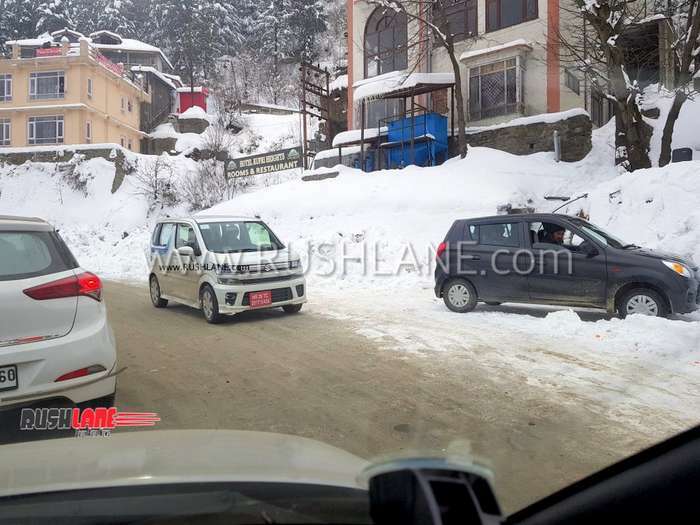 Hat tip to automotive enthusiast Souvik Kar, for sharing exclusive spy shots. 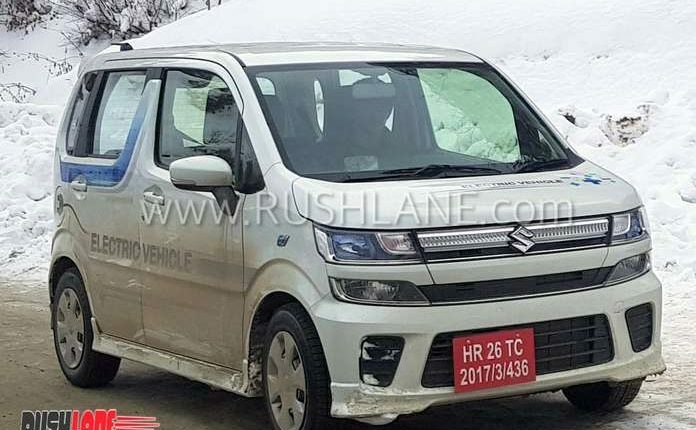 Maruti Suzuki India Limited has just launched the new generation 2019 WagonR at Rs.4.19 lakhs. But this one, is only offered with a petrol engine. 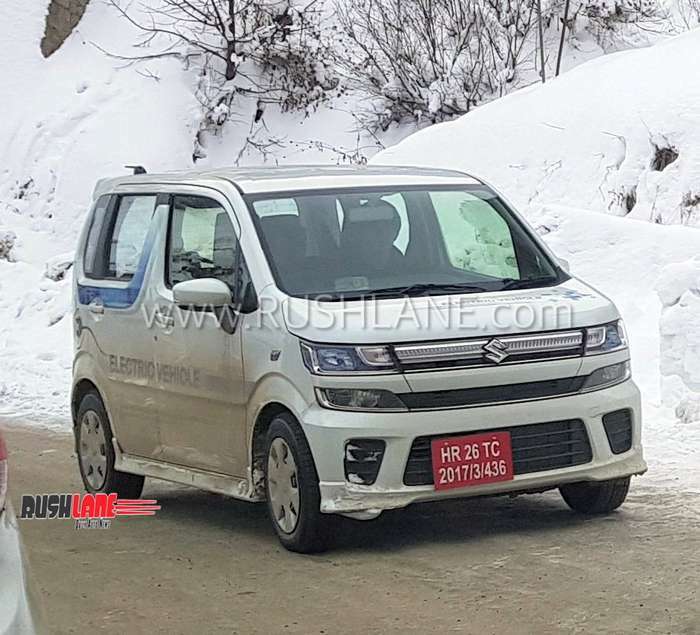 They are also actively testing the electric version of the WagonR, which is scheduled to be launched in early 2020. 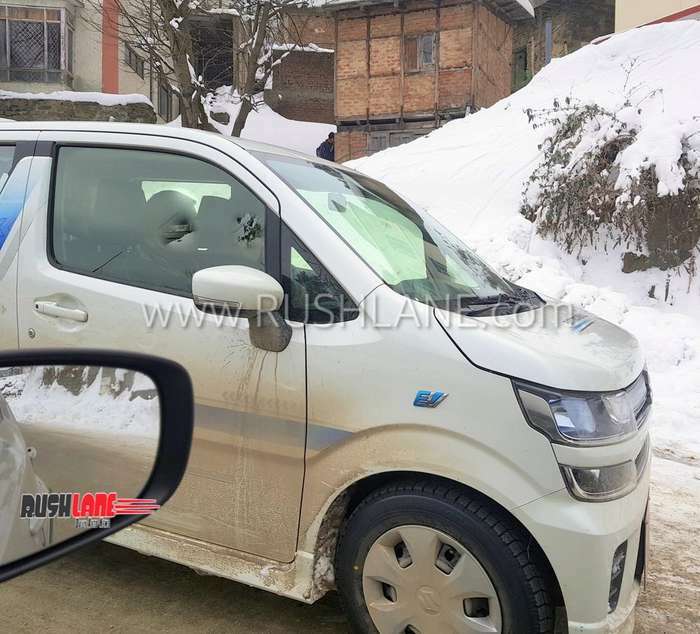 Maruti WagonR electric was recently spied testing in the rains of Gurgaon. 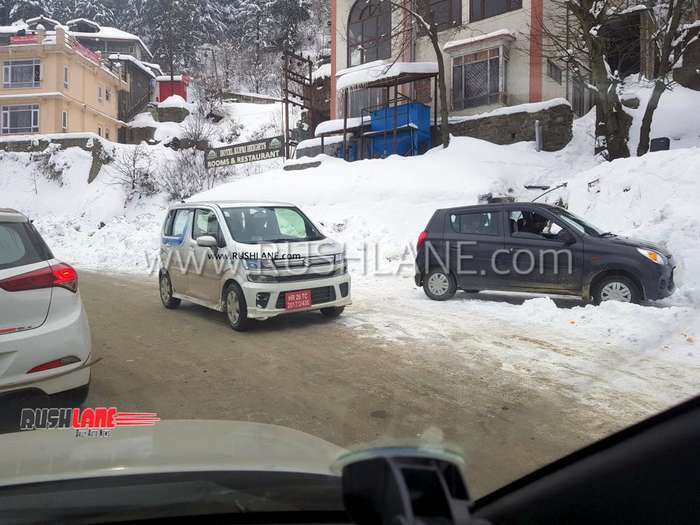 Now, it has been spotted testing in the sub zero temperatures of Kufri in Shimla, where it has snowed heavily in the past few days. 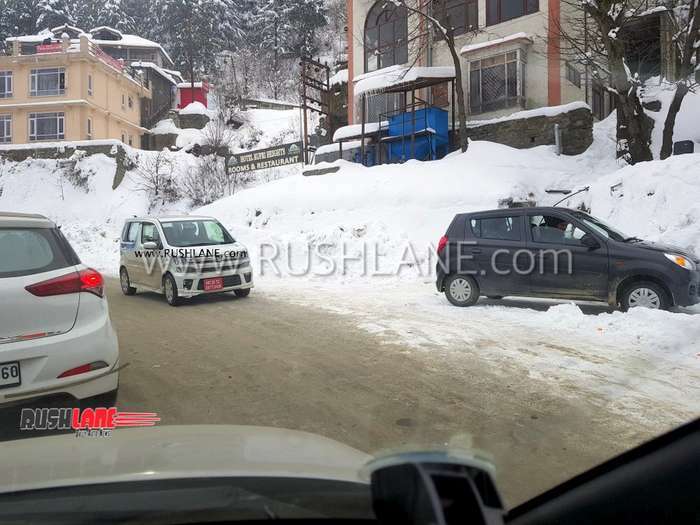 The spy shots were clicked by automotive enthusiast Souvik Kar. 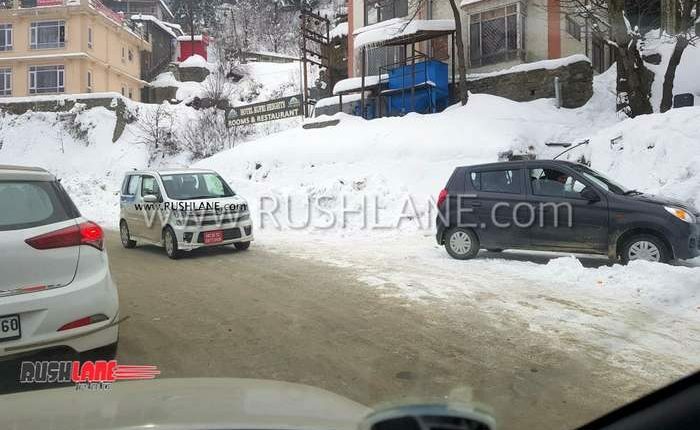 Kufri records low temperatures of -9 degrees C on average these days. 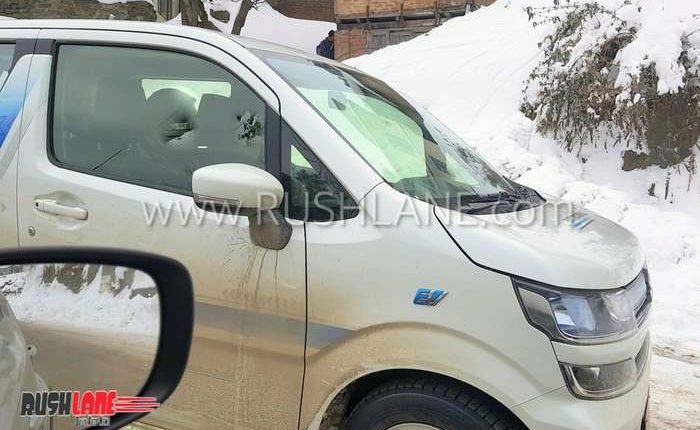 Sporting no camouflage and proudly displaying the Electric Vehicle badge, there are a total of 50 such prototypes testing across India. 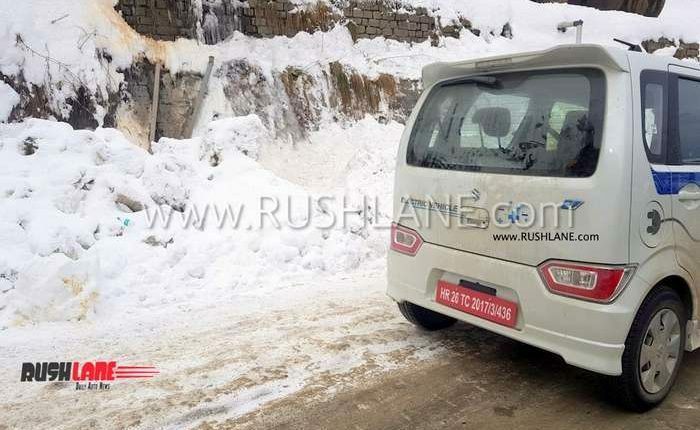 Usually, these prototypes have been spied testing in the urban region, in major cities of India like Delhi, Mumbai, Bangalore, Hyderabad, Chennai, etc. 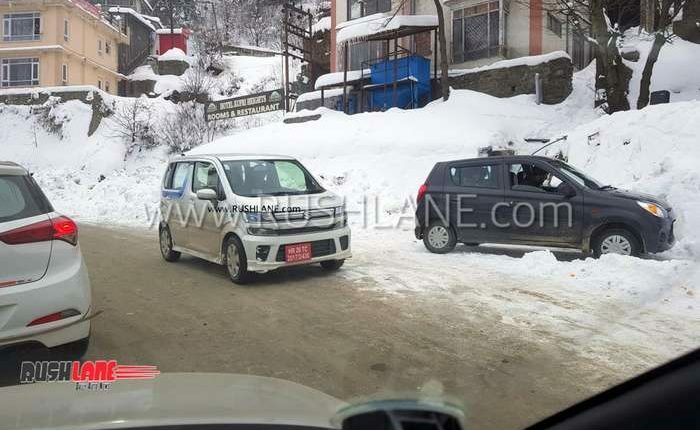 But this is the first time that the WagonR electric is spied testing in the remote region of Kufri, and that too during harsh weather conditions. 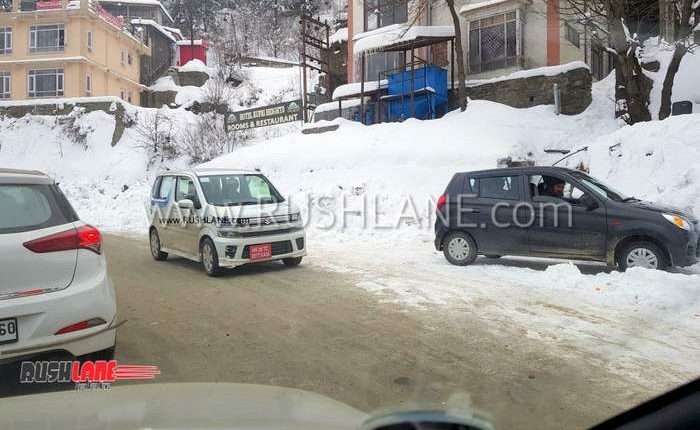 Maruti WagonR electric on test, has been developed at the company headquarters in Japan. It is being tested across India, to tune the car as per Indian conditions. 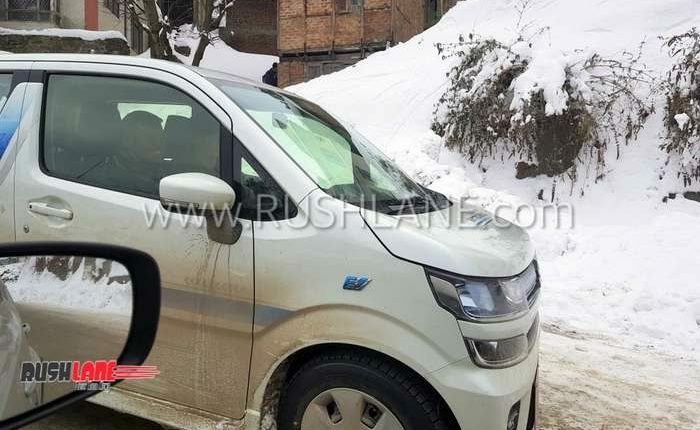 Maruti Suzuki WagonR electric is currently being tested under real world conditions with regard to charging time, range, etc. 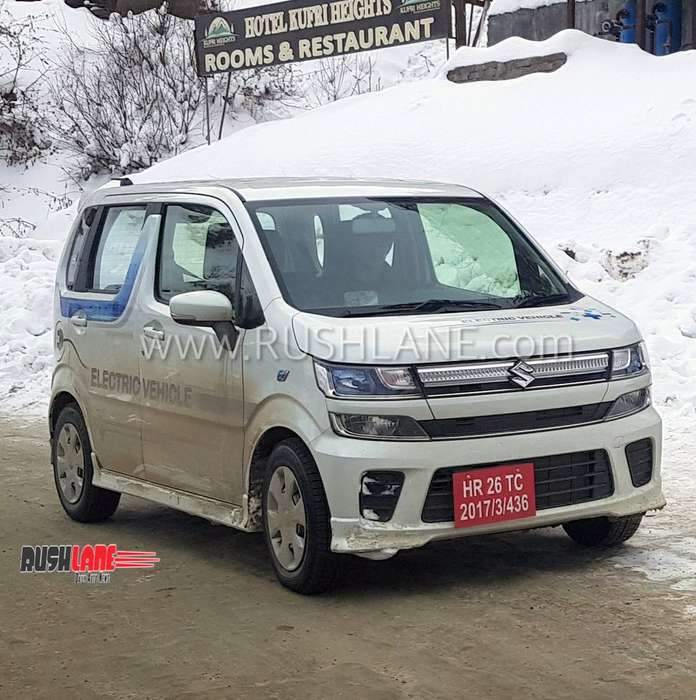 Once ready, it will be locally manufactured at the Maruti Suzuki plant in India. This will allow to launch the car at affordable pricing. For this purpose, Suzuki is also setting up a car battery plant in the country. Suzuki has already invested Rs 1,137 crore on the new lithium-ion battery plant in Gujarat along with Toshiba and Denso. 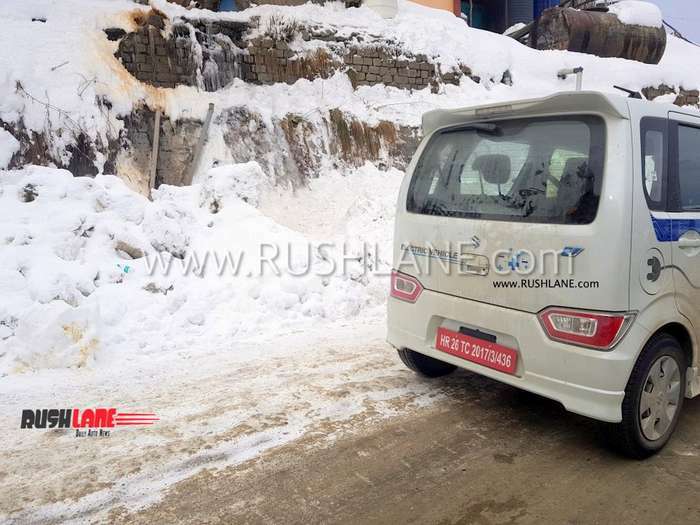 WagonR electric sits on MRF tyres. 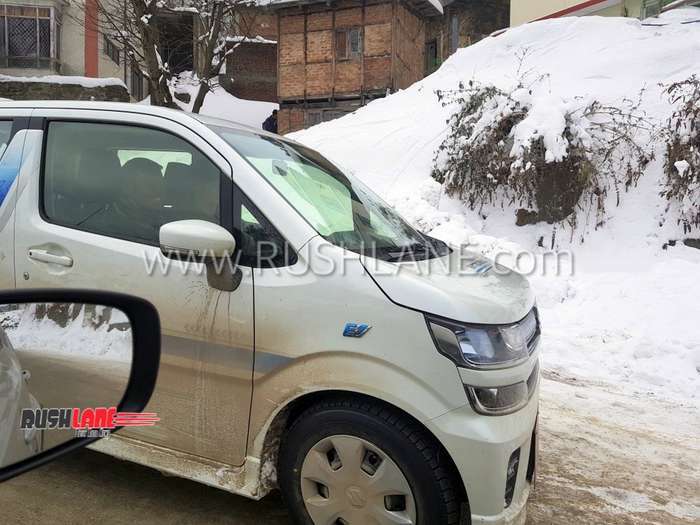 It borrows inspiration from the Suzuki Solio that is currently on sale in international markets. 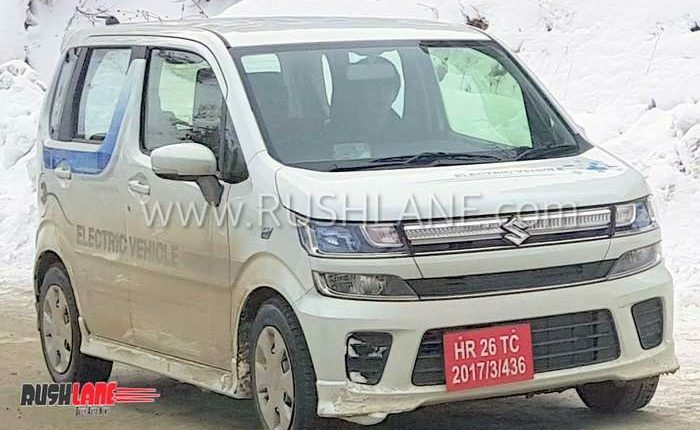 It gets a two part front grille, LED headlight and vertically stacked LED tail lamps, new front bumper design, body colored B Pillars and door mounted wing mirrors. 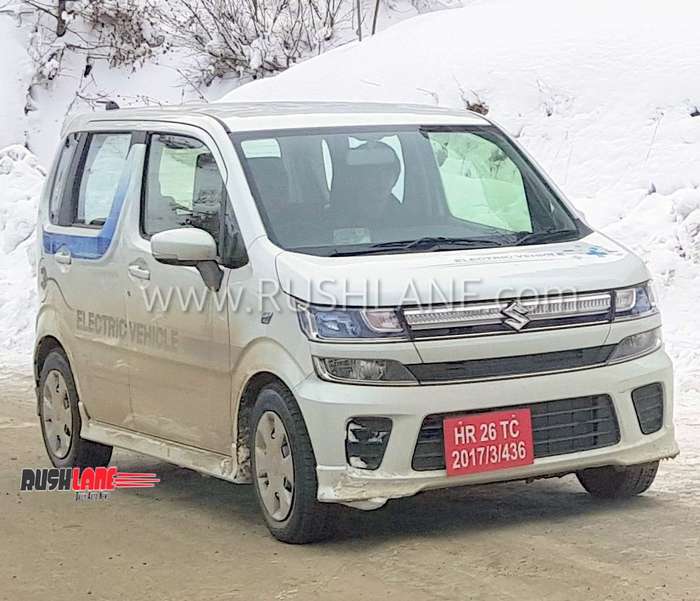 The electric prototype is said to be based on the Heartect platform as seen on the new WagonR. It will sport features as seen on its petrol engine counterpart and safety equipment to comply with new regulations coming into effect later this year. Dual airbags, ABS, EBD, seat belt reminder, speed alert system and rear parking sensors will come as standard. 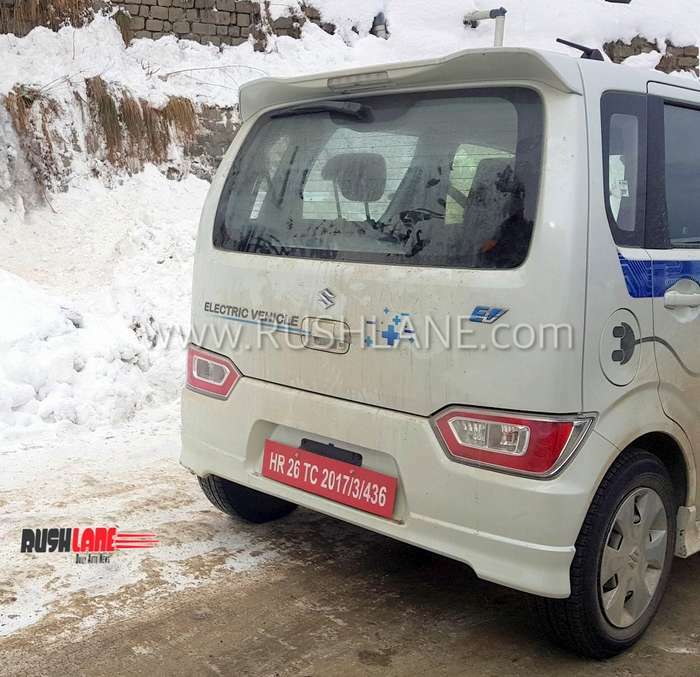 Maruti Suzuki WagonR electric is expected to be powered by a 72 volt system with 10-25 kWh battery capacity. It could offer a maximum range of 150 kms on a single charge. The Lithium-ion battery pack has been developed in collaboration with Toyota and Toshiba. 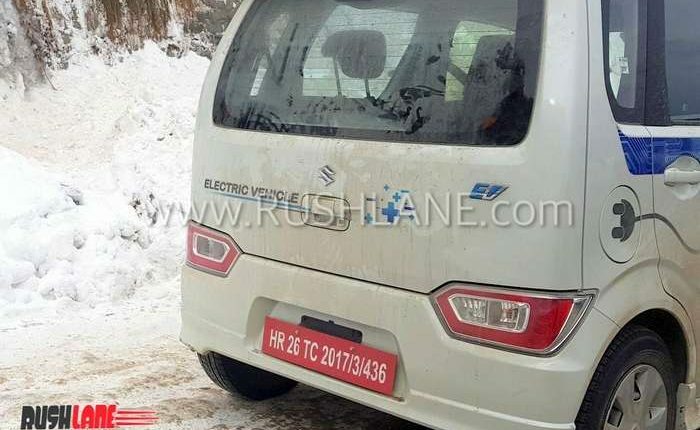 The vehicle will also come in with fast charging feature.